The Wardipedia section is a set of ideas and examples about providing imaginative, therapeutic inpatient mental health care. Click on one of the following IMAGINE themes to start exploring. And these are particularly tough times on mental health wards, with service re-organisation, cuts in staffing and resources and patients’ stress levels being greatly exacerbated by the benefits’ cuts programme. Wardipedia is designed to help! Mental health inpatient staff have generously shared their best practice ideas so that others can adopt and adapt these and have flung in some other information and examples. “We could do that.” We are regularly told by staff that when they read ways in which other wards are tackling problems or creating new opportunities for patients, this is their response. Wardipedia is a giant exercise in enabling ward staff to feel inspired and informed so that they can do that, or most often, do their own variation of it. There’s some new stuff, some stuff you’ll already know but may perhaps find presented here in a refreshing way. Vast thanks to all the wards which have generously shared their great examples and ideas, and for letting Buddy and me visit. We hope you enjoy using (and contributing your own great practice examples to!) Wardipedia. As with all Star Wards’ resources, we’ve collected and created a bunch of ideas, suggestions and possible solutions – but they’re just ideas. Definitely not standards!! 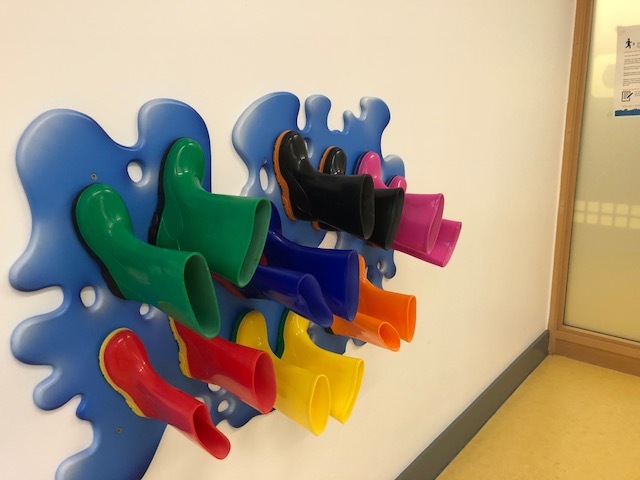 They’re examples of what can be done, to use as a springboard for you to bring in your own expertise and for you to adapt to best meet the needs of your patients. Staff often tell us that it’s about doing things differently, not about doing more things. We’ve discovered there’s an Indian concept for this: Jugaad, or frugal innovation. Jugaad is a Hindi word meaning an innovative fix; an improvised solution born from ingenuity and resourcefulness. (Also known as DIY in the US, Gambiarra in Brazil, zizhu chuangxin in China, and Systeme D in France.) Frugal innovation embraces keeping things simple and making sure they’re what people need. For example, after the devastating earthquakes in Gujarat, a village inventor created a fridge made of clay cooled by water – fulfilling the frugal innovation criteria of products and services which are relevant, affordable, accessible. It’s also been described as providing “institutional support for scouting, spawning, sustaining and scaling up the grassroots innovations.” That’s pretty much what we aspire to do in Star Wards (with fewer farmers), and Wardipedia is where we’ve put everything we’ve found. Ward staff and volunteers. It could be used in training sessions, or relevant chunks/chapters given to people. Especially useful for induction. Support staff like security, catering, estates. Academics, regulators, boards, commissioners, Clinical Commissioning Groups (til they’re replaced in yet another NHS traumatic upheaval)….. to inform expectations/standards – including in trusting staff and patients and arriving collaboratively at standards! Sorry to be repetitious but – Wardipedia is full of ideas and suggestions, most of them from ward staff. Like all innovation, most of these are adaptations of others’ adaptations and we’re very grateful for wards generously sharing these with others, who can adapt and share them, for others to adapt and share. The ideas are simply springboards for other wards’ unique interpretation and implementation. 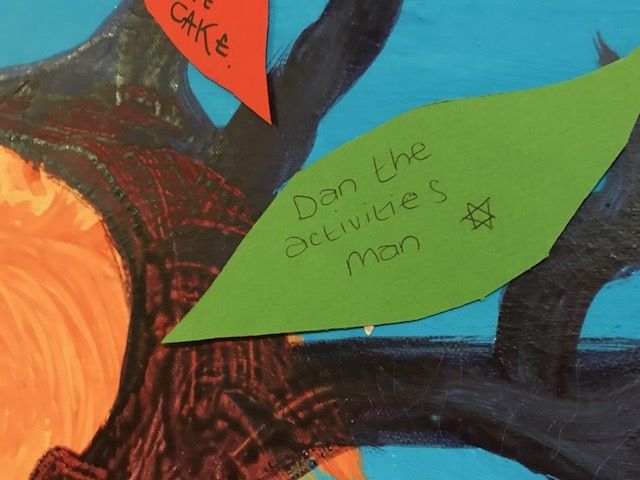 The 77 Ideas in IMAGINE are intended to apply to most wards, although we include extra information about patients with dementia as this seems a particularly challenging environment. patients’ skills, preferences, recovery goals, life aspirations, coping mechanisms (eg using safe products with patients who self-harm), specific risk issues (eg with leaving the ward), specific anxieties, energy levels, group dynamics and a zillion other factors that ward staff expertly and sensitively manage every shift. We’re frugal innovators supporting frugal innovators so most of the ideas are low or no cost. The few daftly expensive resources we include are for broad illustrative purposes only and mainly to stimulate frugal adaptations by ever-resourceful ward staff. 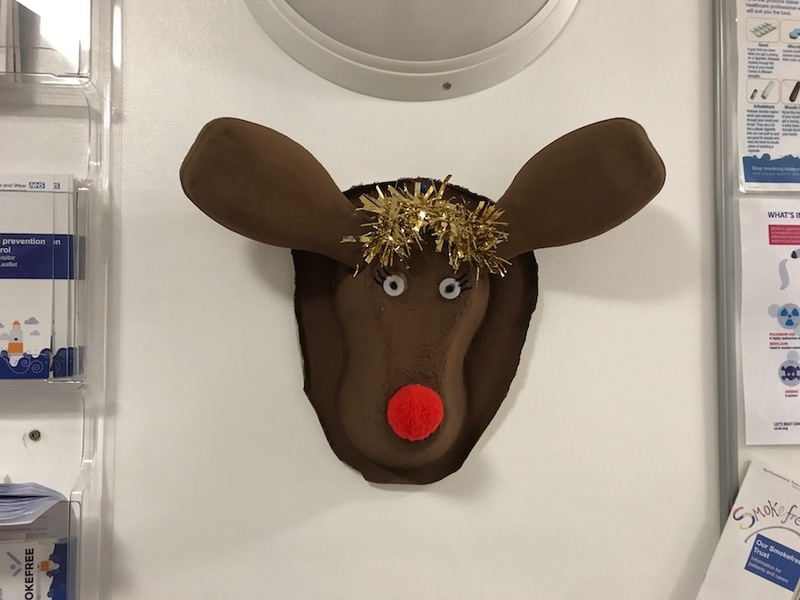 On the whole they’re small, easy, practical things that wards are or could be doing which make a huge difference to inpatients’ experiences. And we’re slightly obsessed with there being evidence of effectiveness before we recommend the sensible things. What else? Most of the ideas are ones which ward staff can introduce with ease and without management needing to get involved. 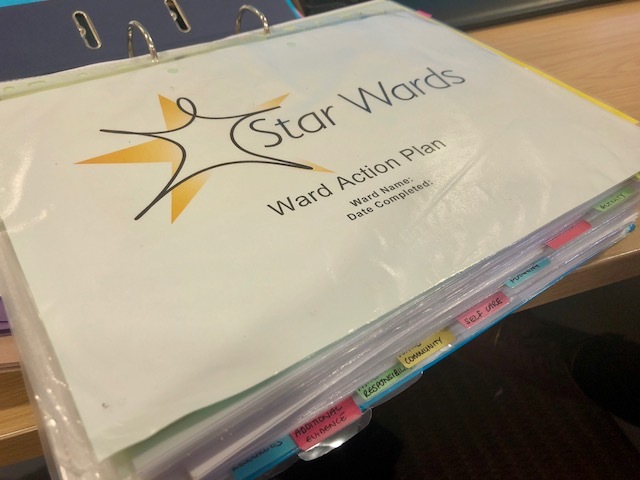 A few (eg replacing ward rounds with consultants appointments) are sadly usually outside of wards’ decision-making but ward staff and patients can be highly influential in instigating the changes. Go for it, pick a theme….